In two decades at Field & Stream, the nation's biggest outdoor magazine, Bill Heavey has become America's everyman outdoorsman. Why? Because he believes that enthusiasm trumps skill. When he forgets his hat on a freezing winter hunt, he improvises, cutting open the juice-stained plush golden retriever puppy his daughter left in the car and using it as headgear. Trying to impress a lady, he flips his canoe and loses everything in the boat. Heavey takes you along with him as he nearly freezes to death in the 30-below cold of Alaska, and he also survives a divorce, plans deer hunts around his duties as a single dad, and defies a back doctor who tells him his tree-stand days may be coming to an end. Throughout, he is alive to both the ridiculousness and poignancy of life. 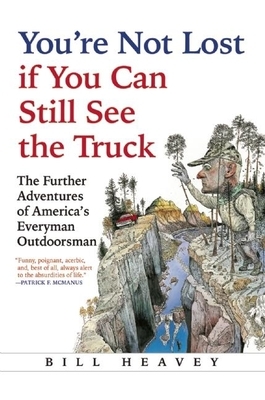 Collecting more than sixty of Heavey's best stories from Field & Stream, the Washington Post, and the Washingtonian, this far-ranging and enlightening volume traces a life lived outdoors through the good, the bad, and the downright hilarious.